For sale is a classic BSA Thunderbolt that has been in the family since it was purchased from the factory in the late 1960's. 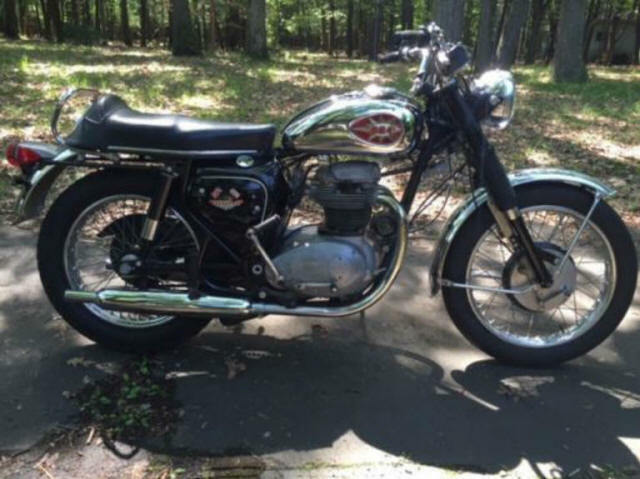 Everything about this BSA is original and it only has 1148 miles with numbers matching from the frame to the engine. Last time this bike was on the road was in 1975, it has been safely stored ever since, and bike has started and ran within the past year or so. Mechanically speaking this bike is in good shape, only repairs needed are minor touch up to the chrome trim due to slight pitting. I would love to keep this bike in the family but due to moving it has to go to a good home. Looking to get $5,500 for this bike and I am flexible on price as well. Please call or email me with any question and I will get back to you ASAP. Also I have many pictures of this bike so if you are interested and would like to see pictures just let me know. P.S Just uncovered the original tool kit that came with this bike behind the side cover.... All original and in great shape.